On April 8, 2014, support for Windows XP has come to an end. 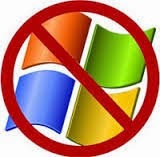 As a result, security updates, technical support, and hotfixes are no longer available for Windows XP users. Millions of businesses are stilling using the Windows XP operating system. Consequently, any vulnerabilities or security risks will not be addressed by Microsoft. As the news becomes more prevalent about the potential risks of using Windows XP, users (especially businesses) are recommended to upgrade to newer versions of Windows. While some companies will upgrade the Windows operating systems on their current computers, many businesses are finding their existing platforms are not worth upgrading. As a result, these companies are disposing of their existing computers and investing in new technology. Unbeknownst to many businesses, improper computer disposal poses yet another risk - but this one could be even bigger. The solution? Check out this article by Confidential Security Corporation. 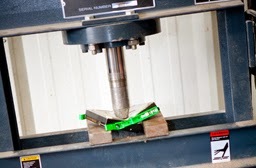 The company highlights the importance of physical hard drive destruction when replacing computer technology. So if you're about to dispose of old computers (particularly computers that once contained confidential information [even though it was "erased"]), you need to read this. we're a credit card processing company that also does loans. OUR SERVICES: MERCHANT FUNDING, CREDIT CARD PROCESSING, POS SOLUTIONS, ATM MACHINES. Headquartered in Chicago, Illinois, Swift Pay Systems opened its doors in 2008 with ideas and procedures that would later revolutionize the payment industry.